Orion Club is a Los Angeles indie concert hall, performance space and film theater with a bar and a Hollywood location. 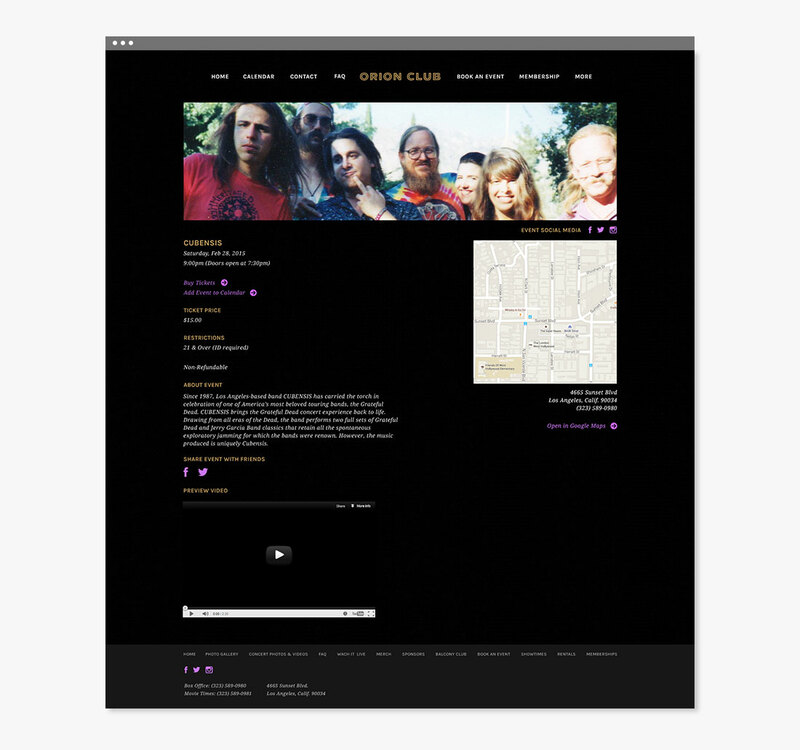 Orion Club reached out to me to design them a moody, old Hollywood-esque website design. 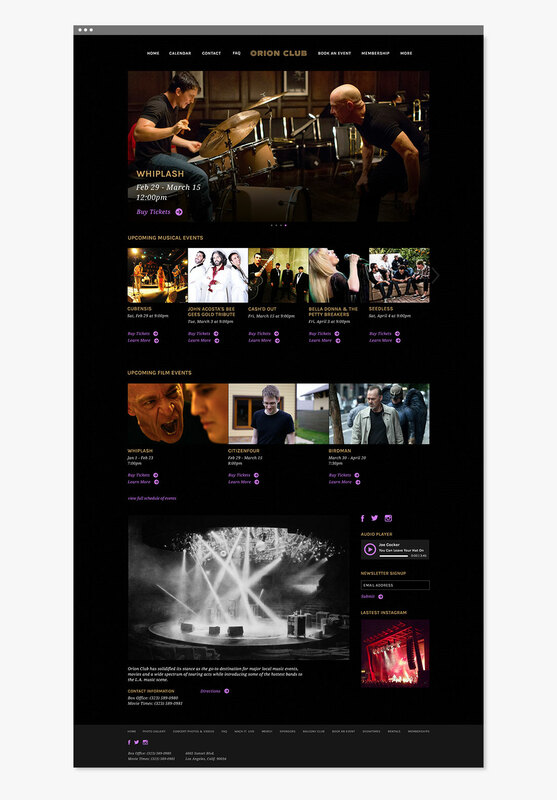 With a constant flow of new events added and outdated ones removed they requested a user-friendly content management platform.